The official website for the Ghost in the Shell Arise project began streaming a new teaser for the anime. 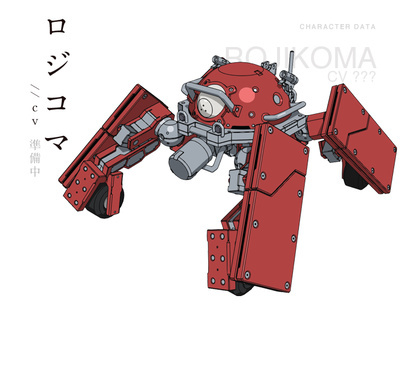 The website also reavealed the design for the "Rojikoma" mechs. The Ghost in the Shell Arise anime, which consists of four 50-minute parts, will premier in Japanese theatres on June 22, and will then be available on Blu-ray Disc and DVD at retail on July 26. Kazuchika Kise (chief animation director for Otogi Zoshi, Blood-C: The Last Dark) will direct the series and design the characters, and Tow Ubukata (Le Chevalier D'Eon, Mardock Scramble) will handle series composition and the screenplay. Production I.G is producing the series, and Cornelius (Appleseed: Ex Machina) will compose the music. 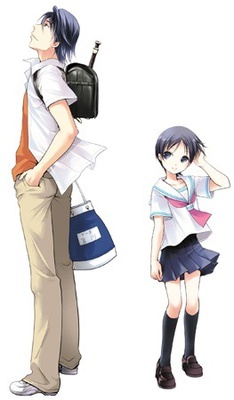 The series will star Maaya Sakamoto as Mokoto Kusanagi, Kenichirou Matsuda as Batou, Tarusuke Shingaki as Togusa, Tomoyuki Danas Ishikawa, Takurou Nakakuni as Saito, Youji Ueda as Paz, Kazuya Nakai as Borma, and Ikkyuu Juku as Daisuke Aramaki. I'm gonna derail myself from my usual topic, and instead talk about something else. I'm gonna talk about aggression and how it can be prevented. Aggression is a common trait among humans. Some of us can control it, better than others. We tend to get angry because of our ignorance. We attach ourselves to certain ideas of ourselves. We allow others to identify us with insults, and we get angry at them. It's highly illogical. When you think about it, anger is pointless, it has no use, it doesn't help us in any way. It hold us back. So, how come humans haven't removed that trait throughout our evolution? Why do we always tend to think so primitively? I think it's because of our inability to come to awareness. If we could, we would've removed pointless emotions such as anger a long time ago. Who said you can't do professional-grade video editing in Linux? Well, you can. Sort of. The first public beta release of the Linux build of Lightworks is scheduled for April 30th. There is no obscure sign-up forms or limited time-frames to apply this time, just straight-up public availability. Isn't that great news for Linux-lovers who want to get some serious video editing done. But don't get your hopes too high up. Lightworks does have a habit of dropping release dates and adjusting their schedules if necessary. However, Lightworks is an awesome product with an awesome end-goal (being open-source) so we can forgive a few slip-ups here and there. Would you like to play an RPG made in Excel? Have a go at Cary Walkin's Arena. Walkin, a chartered accountant and MBA Candidate at the Schulich School of Business in Toronto, Canada, has created a fully fleshed role-playing game using nothing but Microsoft Excel. The rogue-like dungeon-crawler is massive. Four pre-programmed arenas are followed by procedurally generated dungeons that can lead to four different endings, so each play-through will run differently. And what you find inside the arenas is amazing. There are over 2000 possible enemies; 15 unique items with 39 modifiers, leading to over 1000 possible item combinations with spells that let you enchant items yourself; eight boss encounters; 31 spells; and 36 achievements. As you play through the game, the story unfolds through a series of pop-up letters. Walkin's game runs on Excel 2007 and Excel 2010, and you'll need to enable Macros in order to play (instructions for how to do this are linked from the Arena web page). Excel 2007, we should note, is experiencing a few issues, but Walkin will be issuing a fix this weekend. Pick it up from Walkin's website here; and for more information about the game, you can visit the Arena Wiki here. Well, we all use the internet nowadays at home and man, the internet plans aren't cheap and even if it is, you don't get that much allowance each month. Lucky Ilm on a decent plan with unlimited data usage, but for most people, that is just a dream. That said, you may have already seen this, but this video is a mock cable company commercial from what Extremely Decent Films has dubbed "The First Honest Cable Company". Warning: It is marginally NSFW depending on your work environment with the occasional swear word.